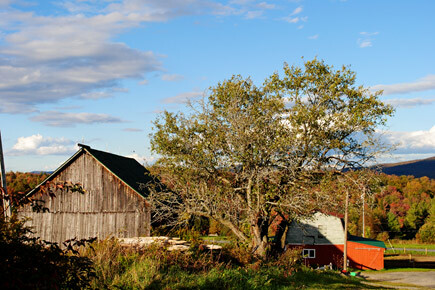 Purchased by the husband and wife team of Sarah Seidman and Scott Harrower in 1987, Pease Farm is one of the last two working farms in Middlesex. For the past three decades, Sarah and Scott have worked to preserve the working landscape and agricultural way of life that has been the trademark of the farm for over 175 years. Both are committed to ensuring the long-term sustainability of Pease Farm for the next generation and beyond. With land first acquired by him in 1826, the original farmhouse was built in 1841 by Hosea Minott of Greensboro before being sold later that century to the Senter family of East Montpelier who raised five children here. In 1937, it was acquired by Gerald Pease, his father Lester and sisters Dorothy and Ellen. This is where our story begins. After scraping together every dollar they had for the down payment and backed by a local shopkeeper who cosigned the loan, Lester, a day laborer and Baptist preacher, and his family went into the dairy business. 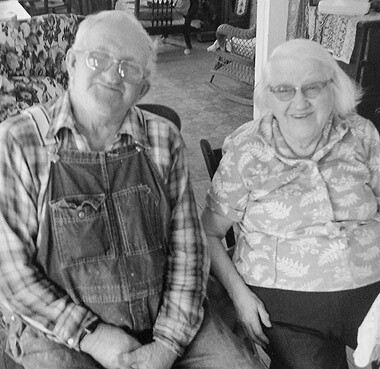 Legally blind from birth (as was his sister Ellen), Gerald soon took the operation over from his father, roaming the farm on his tractor and even driving it down the hill to Shady Rill Baptist Church where he was deacon. Neighbors who offered Gerald a lift into town were cheerfully repaid with plowed driveways, firewood split with his tractor-powered splitter, or a tow from the ditch during mud season. As small dairy farms went out of business nearby, Gerald added on to the original acreage, improving the farmland through his fondness for boulder digging—a familiar feature of Pease Farm even today. 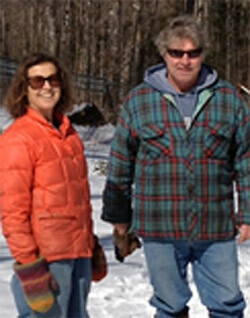 “Boulder” Pease, as he was known, sold the farm to Sarah and Scott exactly 50 years later, continuing to live in the old farmhouse with Ellen until their deaths in 2003 and 2008 respectively. During that time, Sarah helped him run the dairy while learning the intricacies of farming. When he was no longer able to manage milking, Gerald helped her transform the old barn and milking parlor into stabling for horses. Sarah and Scott raised their children—all-time haying champions Corey and Mariah—at the farm and are introducing this way of life to a new generation of Seidman/Harrowers: grandgirls Isabella, Aliyah, Lucia and Hazel. Pease Farm’s beautiful pastures and hayfields were created and sustained by the steadfast stewardship of Gerald Pease and, for this reason, he is honored as the farm’s founder. Today, Sarah runs the farm just as Gerald did—with the help of neighbors who arrive at haying time for little more than a glass of switchel or lemonade. In return the tractor is always available for plowing, splitting wood, snowblowing or, yup, getting out of a ditch.